With a history such as The GZA/Genius owns, it's hard not to pay attention to each album he releases. In Rap and Hip Hop there are few classic albums which you can listen to front to back, engrossed by the lyrics in each song as well as the beat and general concept. "Liquid Swords" however, breaks that mould. Currently touring North America with the "Liquid Swords" tour (where the GZA focuses on performing songs from that album), The Genius has just released his latest album "Pro Tools," which as I was told, wasn't as significantly titled as I'd thought. The album features Wu-Tang Clan members RZA and Masta Killa, as well as some newer artists GZA's introducing. I had to include a small excerpt where GZA paused briefly to answer his phone, it seems whenever I meet with the Clan there's some form of interruption. But based on their discography, allowances can be made. MVRemix: Describe the first memorable day that comes into your head during the recording of "36 Chambers." The GZA: The first memorable day? Oh, that was with the song "Protect Ya Neck." Yeah, that's the thing that I remember with anything that's linked to "36 Chambers." We were in Brooklyn, we were in Firehouse studios before it actually moved to Manhattan and that's the first things I remember as far as that album goes. MVRemix: The vibe recording that, how does that contrast that with the one during the recording of "Pro Tools"? 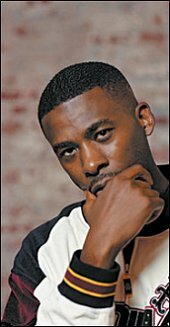 The GZA: How did it contrast in terms of recording "Pro-Tools"? MVRemix: Yeah, basically "36 Chambers" was recorded 15 years ago so there was a certain vibe in Hip Hop and a certain vibe amongst you guys. How now with recording "Pro-Tools" did that change? MVRemix: Back then, could you still forsee yourself still rapping now? MVRemix: I read a rumour that during the recording of "Liquid Swords," RZA had you record all of your vocals acapella and then matched the beats to that. Is there any truth to that? The GZA: [ponders] No, I don't think so. I don't know who told you that. I don't remember laying vocals to one beat and then it being taken off and put onto another track. I've never recorded anything acapella. Not to my knowledge. MVRemix: Around the release of the "8 Diagrams" some of the other members voiced their issues with RZA's choices. What were your feelings on them not keeping their opinions within the group but making them public? The GZA: I mean, there's two ways to look at it. I think that some brothers had their right to speak their mind if they wanted to. I mean there's been a lot that has been going on with the group over the past few years, and I just feel like certain brothers was venting and they wanted to let off. Some just let that out while doing interviews and released certain things to the public. I'm not saying that I would have gone about it the same way because I don't think I would have. But you know, it happened and that's what it was. That's what it is. MVRemix: "Life Is A Movie" is different to the typical Wu sound, and has quite a vivid depiction of film making. Is film something we'll be seeing you getting into more? The GZA: Oh yeah, I mean definitely. I write rhymes in video and screenplay. That's how I get down; it's all about creative writing for me, even when I'm doing songs. You can take probably two or three songs of mine; "Gold," "Killa Hills" and "Cold World" and you have a short film right there alone. So creative writing is something that I'm into, and you can definitely see me doing something in film or writing a few scripts within the next few years. I had started working on some, but I never took the time out to really sit down and get into it. I would say probably in the next few years look forward to seeing some scripts, novels and things of that nature from GZA. But as far as the song "Life Is A Movie," Wu-Tang is known to do songs that's quite different than the average sound, or the sound that was before, or the sound we may have used. Because we are a group that's composed of many different emcees, we just go different places with it. You know Hip Hop is universal. RZA came in with the track and he had an idea... I was feeling the vibe; the drums alone is like Hip Hop drums. The vibe has a cinematic feeling to it and this crazy vibe that it was only right to fall into the pocket and do it. It wasn't hard.